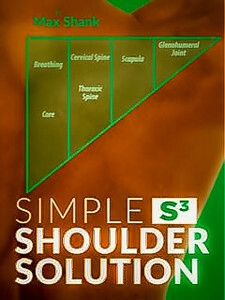 Simple Shoulder Solution (Max Shank). How do you go from having beaten-up shoulders to strong, healthy joints? That's precisely what this book explains. And demonstrates. Once again, this offering is the perfect combination for the way I like to learn. A .pdf book, partnered with a series of downloadable videos. You can grab the entire package here. Max Shank's Simple Shoulder Solution.